International +1-813-783-8058 - ¡Se habla español! Free Ground Shipping to the Continental US on Orders over $100! Train horns have always been what we did best. We wanted to bring the real sound of a locomotive right to your vehicle and thats exactly what we do. We deliver the loudest train horn kits you can buy with the best service possible. 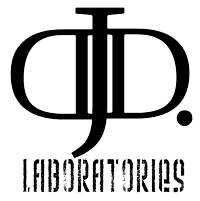 DJD Labs has conducted a third party test of our most popular train horns as well as the some of our competitors. This review is extensive and includes loudness charts comparing all the models tested. Check out the full train horn review here. DJD Labs also completed a comprehensive review of our Shocker horns. This review goes into great detail about the horns and also features a side by side video comparison against brand X horns. Hear the horns in all their glory at the link below! HornBlasters.com is proud to be the first company to deliver an all-in-one solution to installing train horn kits on your vehicle. We have always stood behind our product and still do. Our HornBlasters original Conductor’s Special is still for sale and has been perfected to the tee. Our packages are designed with you in mind! All of our train horn kits include a top-quality onboard air system, a complete wiring kit, all the necessary hardware, extensive installation diagrams and are easily scaled for any application. So what’s this all about anyways? Ever heard a train sound its horn from a mile away? How about from up close? HornBlasters.com specializes in selling extremely loud train horn setups for just about any use. We have lots of specialized kits already perfected for use on trucks, cars, SUVs, boats, or just about any kind of vehicle imaginable. Does your truck have a bad-boy look but fall short with a wimpy horn? We have your perfect solution. HornBlasters.com sells easy-to-install kits ready to give your truck a genuine train horn sound. HornBlasters.com products have been featured on Pimp My Ride, Monster Garage and many other automotive shows. 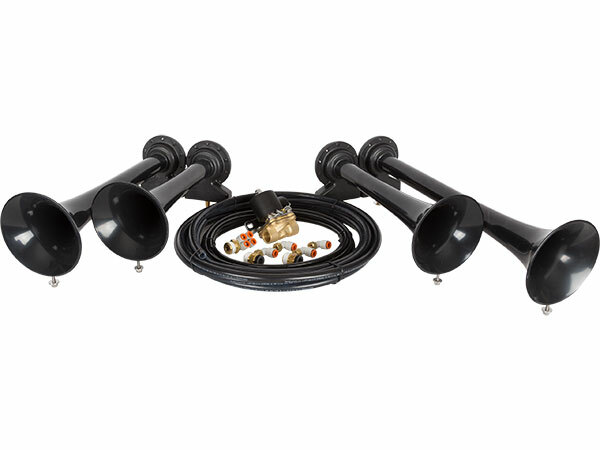 Our Black Finish 4 Horn Train Horn Kit has been installed on many trucks and cars around the nation and internationally to give vehicles a genuine train horn sound! Our extensive train horn installation gallery shows many such installations on all sorts of vehicles. © HornBlasters, Inc. All Rights Reserved.